Due to federal law, child support standards are mandatory and all 50 states have adopted some version. Although issues occasionally arise regarding their application in certain cases, by and large, they are successful in resolving child support by simply plugging numbers into a formula. 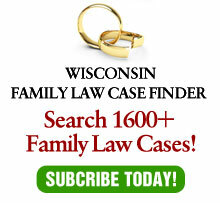 Could similar standards work for spousal support? Effective January 1, 2015, maintenance guidelines are in operation in Illinois. According to an article in the Illinois Lawyer, while they are not mandatory guidelines, they are, like child support, presumptive. Therefore, if a court does not use them, the court must explain the reasons for a deviation. Are maintenance guidelines good ideas? In my opinion, they are OK if they allow for judicial discretion – in other words, if they are guidelines instead of standards. Guidelines are advisory – standards are (more or less) mandatory. The Illinois law seems to be more standards than guidelines. Then again, circumstances in individual cases can be so variant that handcuffing judicial discretion can result in a lot of round pegs being forced into square holes. In one simple example, while a 20 year marriage sounds like a long one, it makes a significant difference if the parties were 18 years old when they got married as opposed to 38 years old. In the former case, the support recipient has a long time to develop job skills to become self supporting. Not so much in the former case. Will Wisconsin join a growing list of states to adopt such guidelines? The last session of the legislature considered several versions, but adopted none of them. Stay tuned for updates.